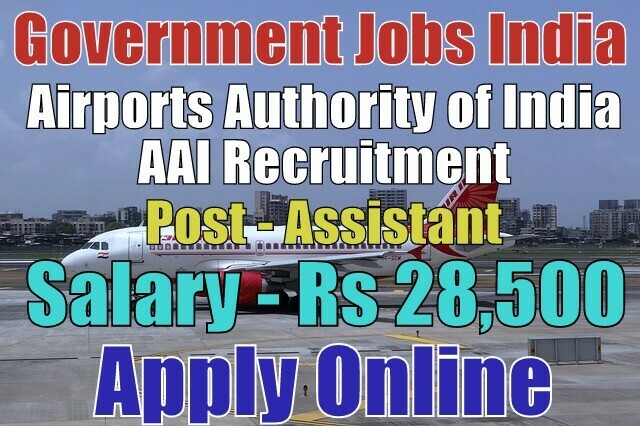 Airports Authority of India AAI Recruitment 2018-19 notification for 69 junior assistant (fire service) posts. All legible and interested candidates can apply on or before (15-01-2018). 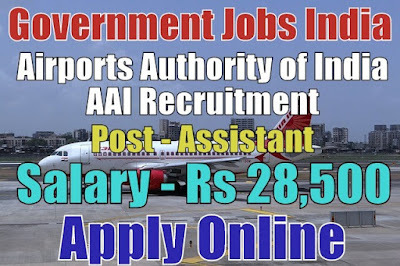 Further information about the Airports Authority of India recruitment courses and exams, vacancies, salary details, AAI exam date and careers, application fee, educational qualifications and all other details/information about this post is mentioned in details below. The total number of vacancies are 69. 1. Junior Assistant (Fire Service) - 69. Selection Method - For recruitment in the Airports Authority of India, the candidate will be selected on the basis of their performance in the computer based online test, physical test, shortlisting and then personal interview. Candidates must be prepared for this test. Work Experience - No further work experience required for assistant professor post. Fresher candidates and candidates with no experience can also apply for this post. Candidates need to register themselves before applying online. Candidates have to apply via online mode only. Applications received after due date will be summarily rejected for sure.